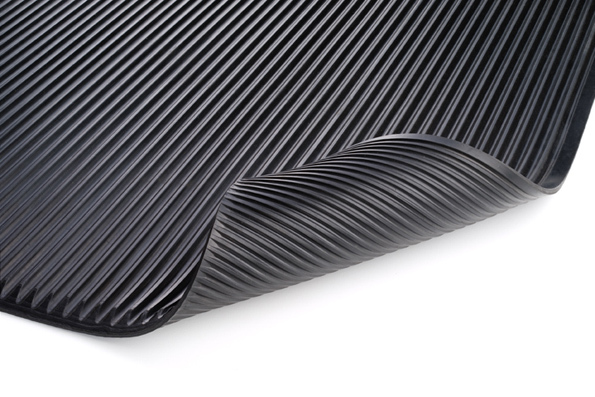 This is a premium mat made from an SBR/EPDM non-staining, non-marking rubber compound. Excellent for use in high-traffic areas, it can be placed on floors without the fear of ruining existing floor finish. 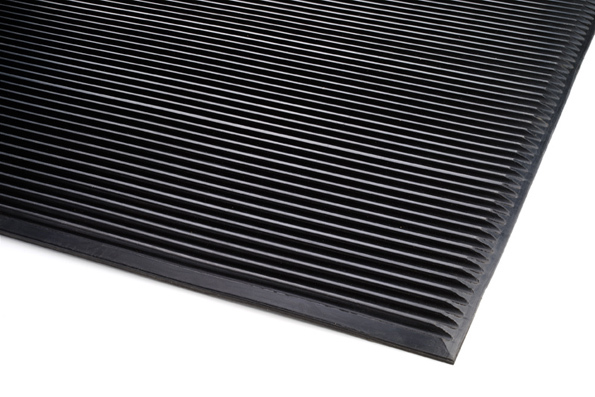 Extra-heavy, vulcanized-rib construction increases traction and withstands abuse from equipment. 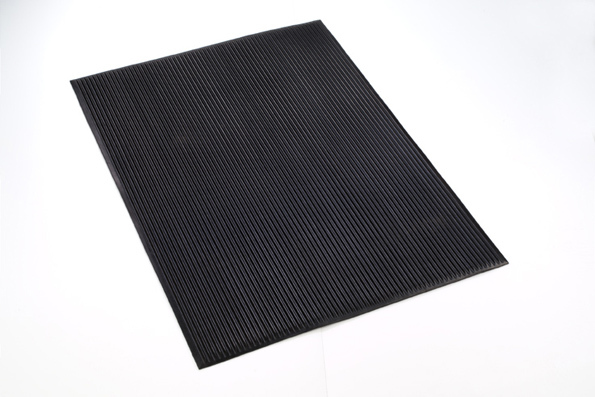 The Rib Mat resists a number of chemicals and fluids, while maintaining the integrity of the mat. Elevated ribs provide continuous airflow beneath the mat. Fluids and debris can be easily swept away. 36" x 24" x 1/2" [L x W x H]14 lbs. 48" x 36" x 1/2" [L x W x H]28 lbs. 60" x 36" x 1/2" [L x W x H]32 lbs. 72" x 36" x 1/2" [L x W x H]52 lbs. 72" x 48" x 1/2" [L x W x H]54 lbs.